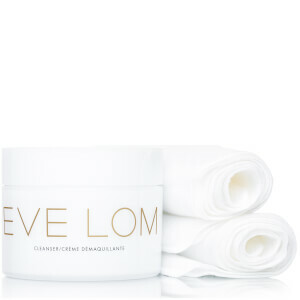 Experience a deep, skin-reviving cleanse with Eve Lom Cleanser, described as 'probably the best cleanser in the world' by Vogue. The multi-purpose, multi-award-winning balm has been expertly balanced to suit all skin types, and combines the brand's signature blend of four aromatic plant oils (Clove, Eucalyptus, Hops and Egyptian Chamomile) to promote glowing, radiant, smoother-looking skin. Clove Oil encourages clear, clarified skin, while Egyptian Chamomile Oil and Cocoa Butter soften, soothe and condition. 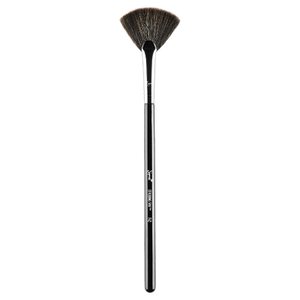 Developed to be used in conjunction with the specially woven, 100% muslin cloth, it provides a deep yet gentle cleanse; effortlessly melting away dirt and makeup (even stubborn waterproof formulas) while gently exfoliating without drying or stripping skin. It helps to slough away dead skin cells, smoothing and refining skin's texture, preparing the complexion for the next steps in your skincare regime. 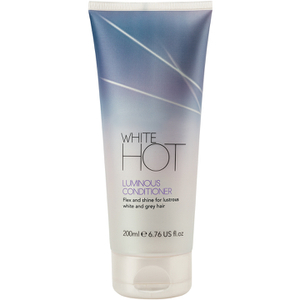 After use, skin feels smooth, clean and decongested with improved tone and circulation. Witness visible benefits on all skin types. This is my favorite cleaning balm ever. The skin store offers a good price and it is great as always. You usually need to use the cotton inside to wash your face. It’s like a spa. Highly recommend. This is the best cleanser if you need to remove makeup. My skin instantly glows after following the regimen for just one use.